Force Protection Services specializes in on-site security for clients throughout Tulsa. If it’s a valuable location, we guard it. All security guards are vetted for strict ethical standards and a high level of professionalism. All officers, whether armed or unarmed, have proven themselves in private security or in our nation’s military or police forces. On-site security staff are licensed and certified, with rigorous training and annual updates. Our on-site security service is customizable, suited to our clients’ unique needs. 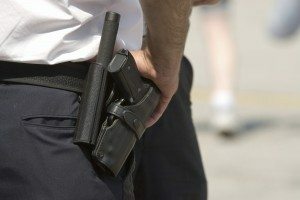 Security guards come in uniforms, blazers or plain clothes, and may be armed or unarmed, depending on client requirements. For more on our on-site security service, send us a message or call us at 918-343-0377. The information displayed on this website is for marketing and informative purposes only. Force Protection Services, Inc. is not legally responsible for the actions of individuals based on the advice and tips provided on the site or blog.